These pieces were made for a show in a historic home in Portsmouth, New Hampshire. They are in a traditional Shaker style and the birds-eye figure is outstanding. The three tables were conceived as a possible set of end tables and a sofa table, but they would work separately as a hall table and night stands as well. 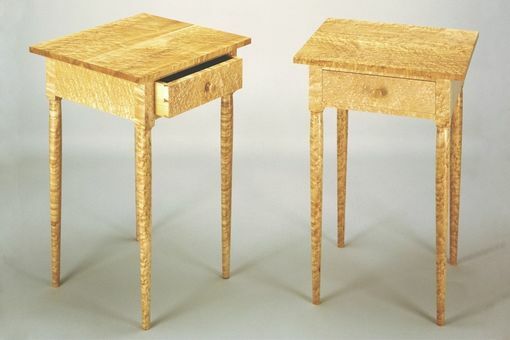 The drawers are hand cut dovetailed pine. 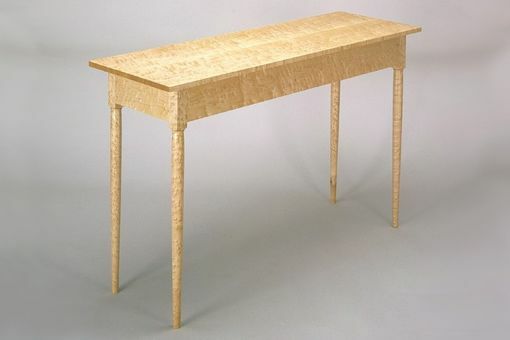 Dimensions: The hall table is approximately 40" long, 14" deep, and 32" high. The smaller tables are about 14-16" square, 26" high.